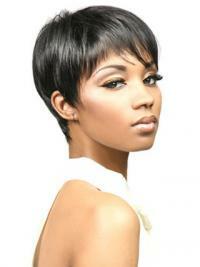 A wig is a head covering made from human hair, or synthetic fiber. A wig is like a hat of hair. It consists of a cap with hair attached to it. Some people wear wigs to disguise baldness; a wig may be used as a less intrusive and less expensive alternative to medical therapies for restoring hair. Wigs may also be used as an article of apparel, or to fulfill a religious obligation. Thus hair can be a completely different colour, length and style for every wig one person has. urhair.co.uk offers all different styles of wigs. We have all the wigs which you wanted. Enjoy it at a very great price.